I love the versatile lentil: the variety, flavor and convenience that these quick cooking pulses offer are all things I approve of. 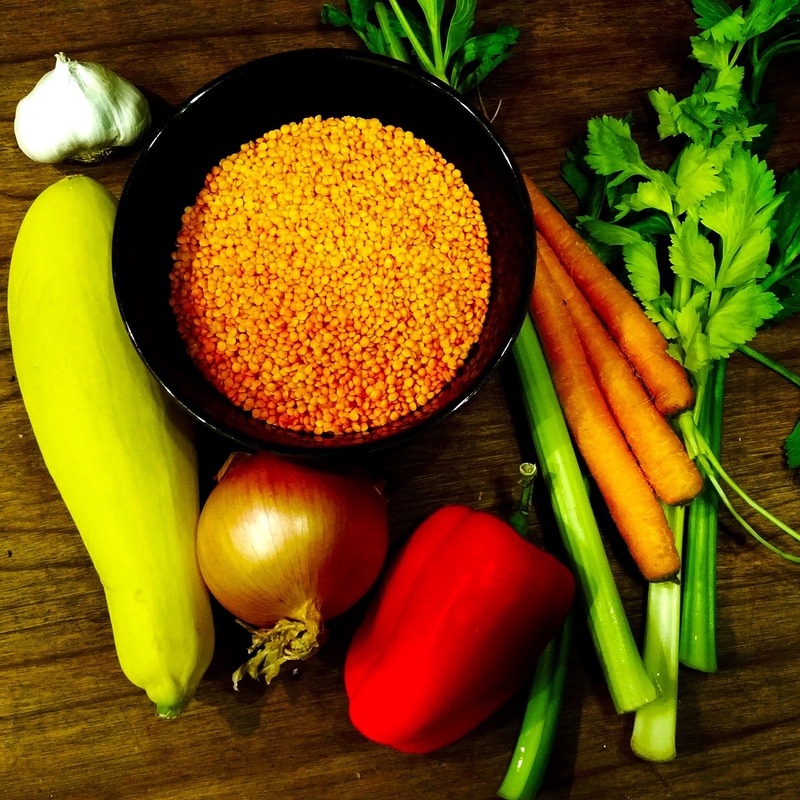 This Turkish soup is my favorite way to prepare red lentils. Velvety smooth like a bisque, I make it with even more vegetables than typically called for. We ate this soup frequently in Turkey, watching snow fall outside the window, with chunks of fresh bread and glugs of olive oil. Good times! Enjoy this flavorful and elegant soup, made from the humblest of ingredients. Chop the garlic and onions. Saute over medium heat in a heavy-bottomed soup pot until the onions are translucent and soft. Add the chopped carrots, celery, bell pepper and water. Cook over medium-low heat for 10 minutes until soft. Now add the lentils, water, tomato paste, paprika and salt. Cook over medium to low heat for 20 to 30 minutes until everything is soft. Turn off the heat and allowed to cool down a few degrees for pureeing in batches in the blender or with your handheld blender (if you have a standing blender, use it, as you will get a smoother texture than with the handheld blender.) Serve with crusty bread and a big green salad.